This traditional Southern sweet potato pie is made in the Instant Pot! 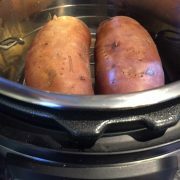 Once you try making it in the Instant Pot, you’ll never make it any other way! Attention Southern food lovers! Have you already made my Instant Pot collard greens? Now it’s time to make the sweet potato pie! This Instant Pot sweet potato pie is so sweet and smooth! 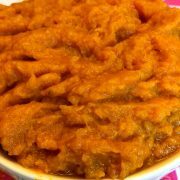 Flavored with the freshly cooked mashed sweet potatoes, brown sugar, sweetened condensed milk, orange rind, vanilla, cinnamon and nutmeg, it’s flavor is mouthwatering! 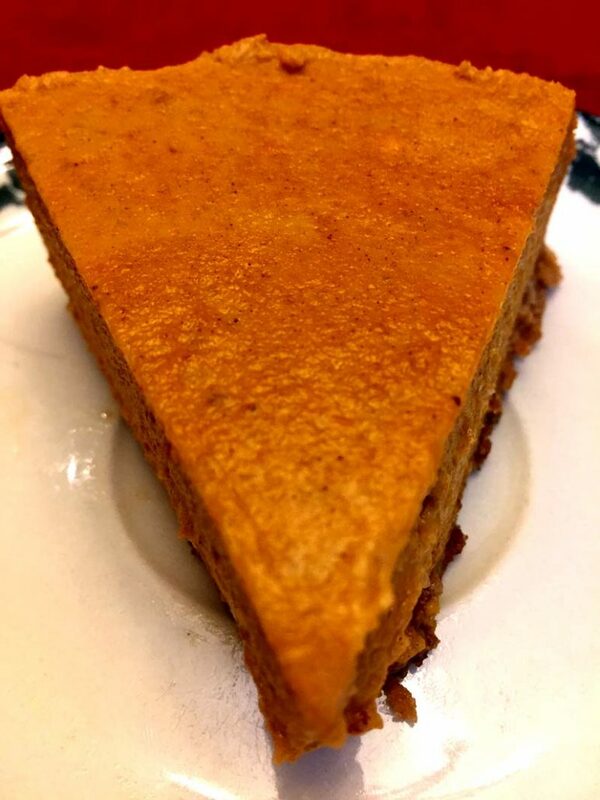 Bite into this Southern sweet potato pie and make your mouth happy! 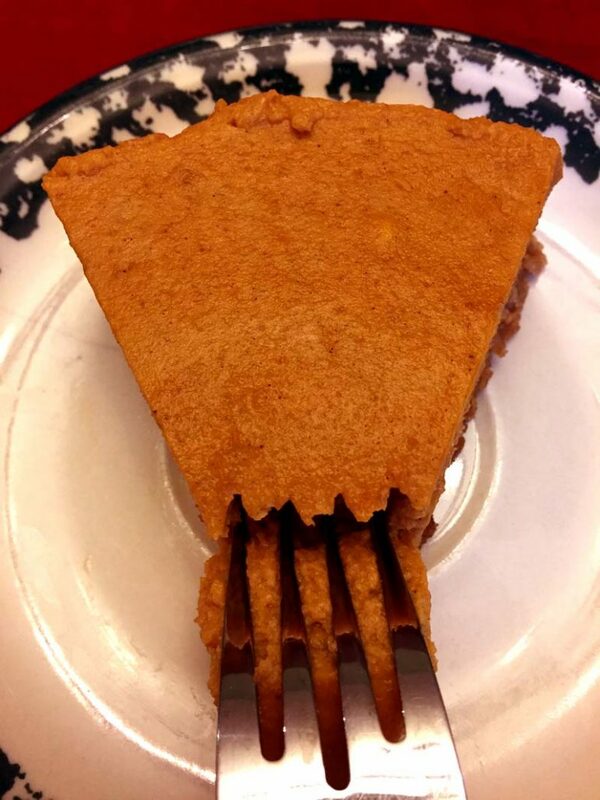 This sweet potato pie is a perfect dessert for Thanksgiving and Christmas! Make it along with the Instant Pot Pumpkin Pie – which one do you think would win? 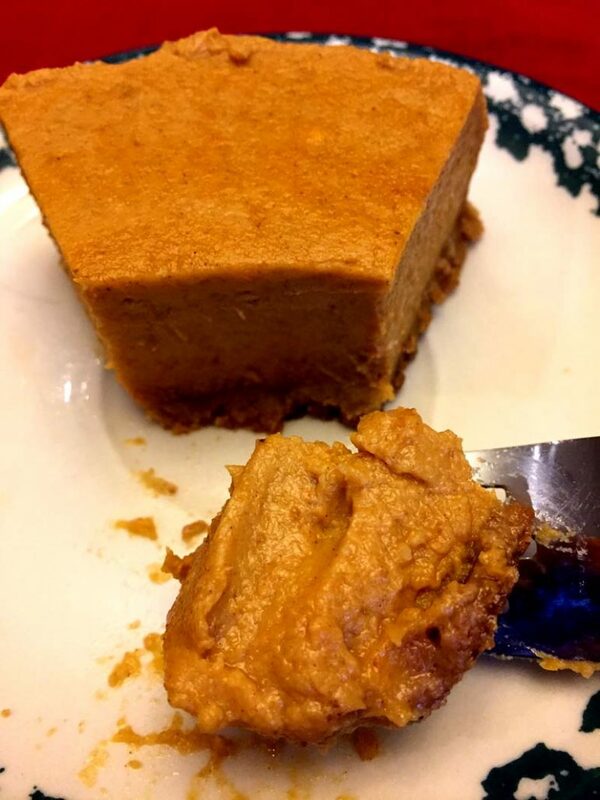 Sweet potato pie filling is composed of very simple ingredients – mashed sweet potatoes, brown sugar, sweetened condensed milk, butter, orange rind, cinnamon, nutmeg and vanilla. The crust is simple Instant Pot graham cracker crust. If you’d like a gluten-free crust, I highly recommend my walnut crust recipe – it uses ground walnuts instead of graham cracker crumbs! To cook the sweet potato pie in Instant Pot, first assemble the pie in the 7-inch springform pan (see the printable recipe card on the bottom of this article), then pour 1 cup of water in the Instant Pot, insert the trivet (the rack that came with the Instant Pot) with the handles up, then put the sweet potato pie on the trivet. 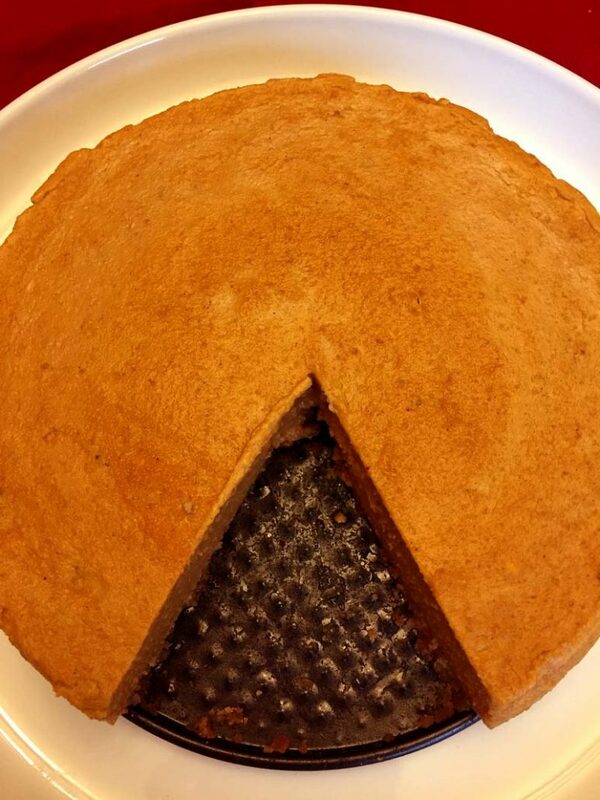 Do not cover the sweet potato pie with foil – it is cooked uncovered. Pressure cook on High for 35 minutes, followed by the 10 minute natural release (NR) then quick release (QR). Remove the pie from the Instant Pot by grabbing the handles of the trivet with the heatproof mittens. Let the sweet potato pie cool completely at room temperature and enjoy! 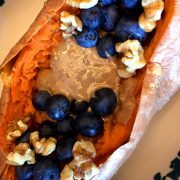 If making it in advance, keep the sweet potato pie in a refrigerator until ready to eat. 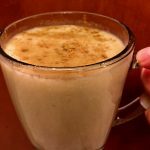 Instant Pot Pumpkin Pie – once you try making pumpkin pie in the Instant Pot, you’ll never make it any other way! Instant Pot Bread Pudding – give new life to leftover bread! This bread pudding is so warm and creamy with melted chocolate chips throughout! Instant Pot Pumpkin Cheesecake – Instant Pot is the only way to make cheesecake! The top of the cheesecake NEVER cracks in the Instant Pot! Instant Pot Baked Apples – stuffed with cinnamon and raisins, these baked apples are mouthwatering! Instant Pot Roasted Turkey Breast – so moist and juicy, you can even cook it from frozen! This is an authentic Southern Sweet Potato Pie made in the Instant Pot! 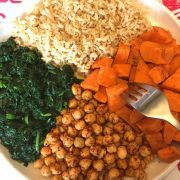 So easy and tastes amazing! There won't be a single crumb left! 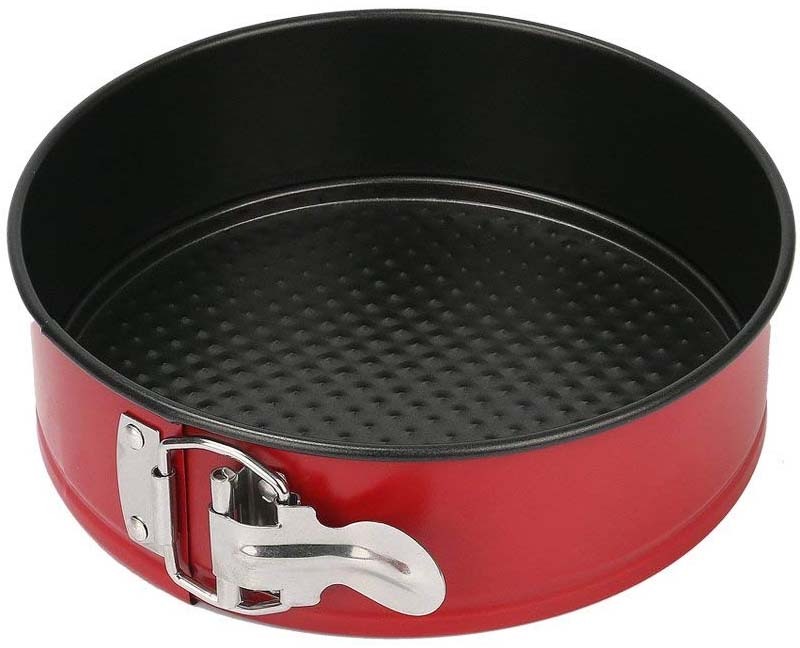 Spray a baking dish that fits inside the Instant Pot with a non-stick cooking spray (I used a 7-inch springform pan). 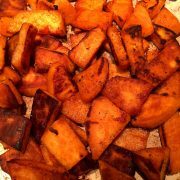 Put mashed sweet potatoes in a bowl, add butter and mix until combined. 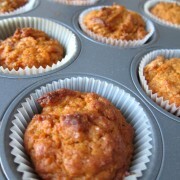 Add brown sugar, sweetened condensed milk, orange rind, vanilla, cinnamon, nutmeg and salt and mix until combined. Pour the sweet potato filling into the crust. Add 1 cup of water to the inner pot of the Instant Pot. Insert the trivet (the rack that comes with the Instant Pot) with the handles up. Carefully lower the pan with the sweet potato pie inside the Instant Pot on top of the trivet. DO NOT cover the baking pan with foil or any other cover. Close the lid of the Instant Pot and turn the valve to a Sealing position. Press the "Pressure Cook" or "Manual" button and set the time to 35 minutes on High pressure. When it's done cooking, let the pressure release naturally for 10 minutes, then quick release (QR) the steam. 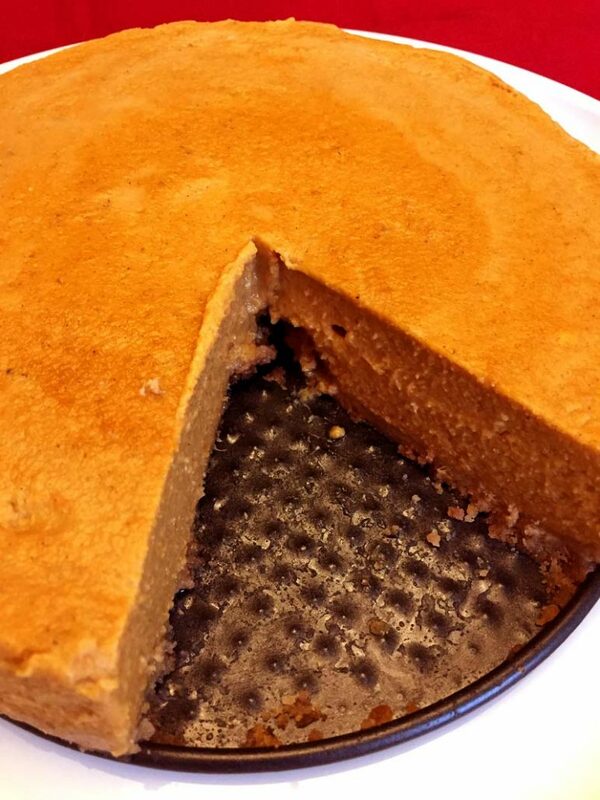 If the sweet potato pie is a little jiggly in the center, it is normal, it will firm up when it cools. 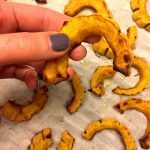 Carefully lift out the sweet potato pie from Instant Pot by the handles of the trivet (it will be very hot, so make sure to use heatproof gloves). 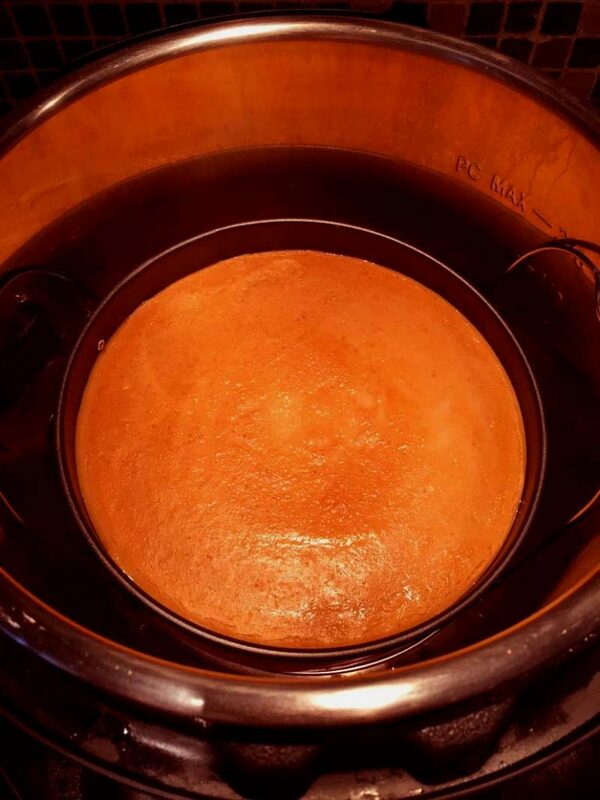 Let the sweet potato pie cool at room temperature. If serving the next day, refrigerate.